Jack Daniel’s is launching a digital summer campaign this week that turns photos uploaded via mobile devices and social media into sweepstakes entries. Dubbed Summer Swarm, the campaign pushes Tennessee Honey, a flavored Jack Daniel’s whiskey aimed at younger—and therefore smartphone-wielding—consumers looking to ease their way into drinking the hard stuff. (Tennessee Honey seems designed more for weekend warriors than so-called professional drinkers.) Eight weekly challenges will call for photos collected via a microsite, Facebook, Twitter, Instagram and text messaging. Paid media will run on Facebook, Gawker and BuzzFeed, while the brand also plans to promote the campaign and other summer content on its social channels. It's the second year for Summer Swarm, though the campaign is more social thanks to what the whiskey drink learned in 2013, explained Casey Nelson, senior brand manager for the Jack Daniel’s flavor portfolio. "The idea is our target consumers love sharing content and social currency, they love sharing summer experiences," he said. "We link it all to social this year." Two sets of prizes will be given out each week: One for the best pictures picked by a panel of judges and user votes and another group that will randomly select entries. Then, one grand prize winner will receive a trip and tickets to the 2015 Lollapalooza music festival in Chicago. The first week’s theme is "Outdoors," and upcoming examples include "Beach" and "Adventure." The spirit brand’s campaign also has an interesting text messaging spin, which is part of a longer-term strategy to build up a database of opted-in consumers that Jack Daniel’s can then use to retarget participants for upcoming promotions. Photos can be sent in by texting in the keywords "Summer" or "Swarm" to 80366. "We have started in the past several campaigns gathering a database of consumers that have engaged with us via MMS," Nelson said. "They have proven to be active participants with us [in the past, so] we invite them [to new campaigns.]" Jack Daniel’s isn’t the only alcohol brand enlisting digital for a seasonal campaign this year. 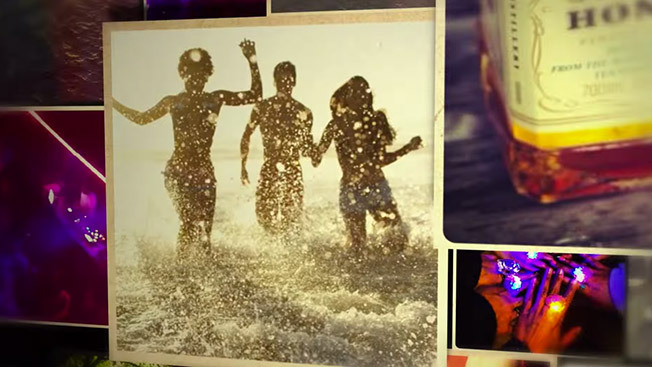 Budweiser and Miller Lite are also making a big social and mobile push for summer efforts.